There are countless clones out there available on the net. The most famous DIY bit of kit was from Marc Bareille. Actually, my first DS8 was from him. The original unit was also apparently sold under several brands. The DS8 is fun to clone and to use but it has flaws. The most annoying one (being not designed to be used in a modular environment) is the lack of 1V/Oct tracking capability for the main oscillator. The “CV” input is higher voltage = higher frequency. But not 1V/Oct. 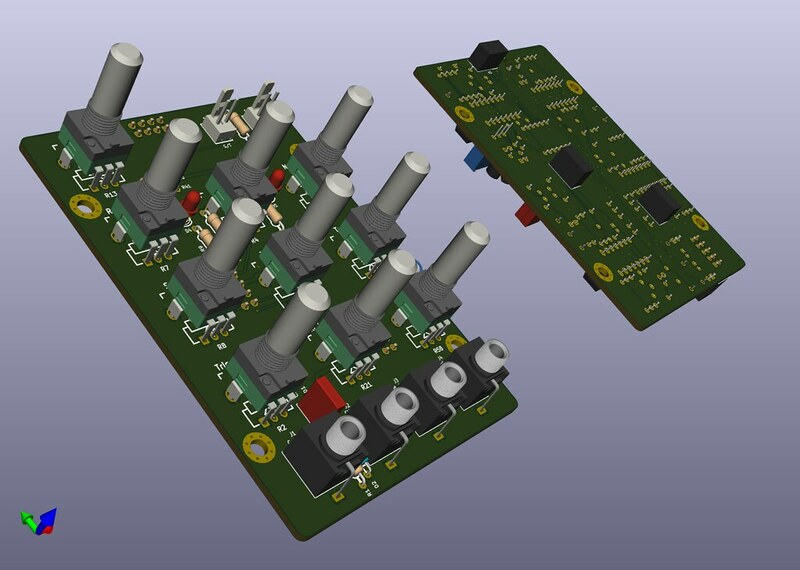 So I decided to build, almost from scratch, my own Drum Synth. I followed the original features, but I swapped the original circuitry with circuits inspired from other synths and then added some personal touch. And the DM77 came to life. 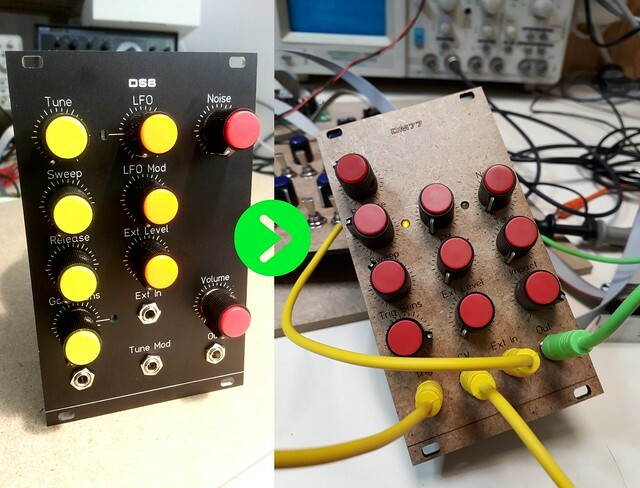 Same as my DS8 clone, the DM77 is a 2-board sandwich construction and designed to be integrated in a shallow Eurorack case. It’s Through Hole only and low number of components. It’s a good project for experienced beginners. The first PCB had some errors: I forgot to run some signals between the two boards… Doh! Anyway, I’m really satisfied with the overall result. The next PCB revision is on its route. So, more on this project soon!